So I been unhappy with Blogger for a while and been researching web developers to revamp my site, rebrand my site and figure out which way to go. I am still selling my Stock Art which I will be adding to that account soon and starting its own IG account as well. I still have my own tees to sell also...I'm basically regrouping and figuring out what I want to do with my site. 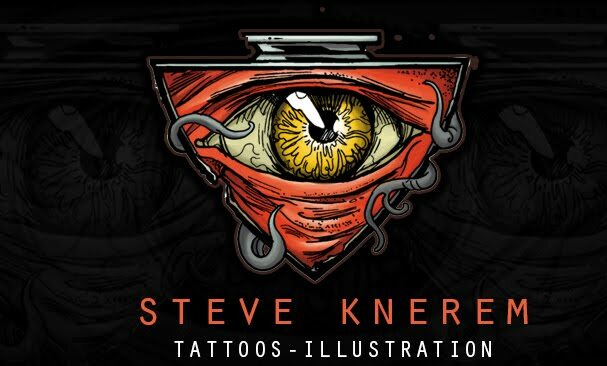 For tattoo or illustration jobs/appointments feel free to contact me steve@steveknerem.com or text 216-533-7293. SORRY TO KEEP ANYONE WAITING, FOLLOW MY IG ACCOUNT FOR UPDATED WORK AND SKETCHES I POST FOR AVAILABLE TATTOOS. AWesome post about "HAVEN'T POSTED IN A LONG TIME"